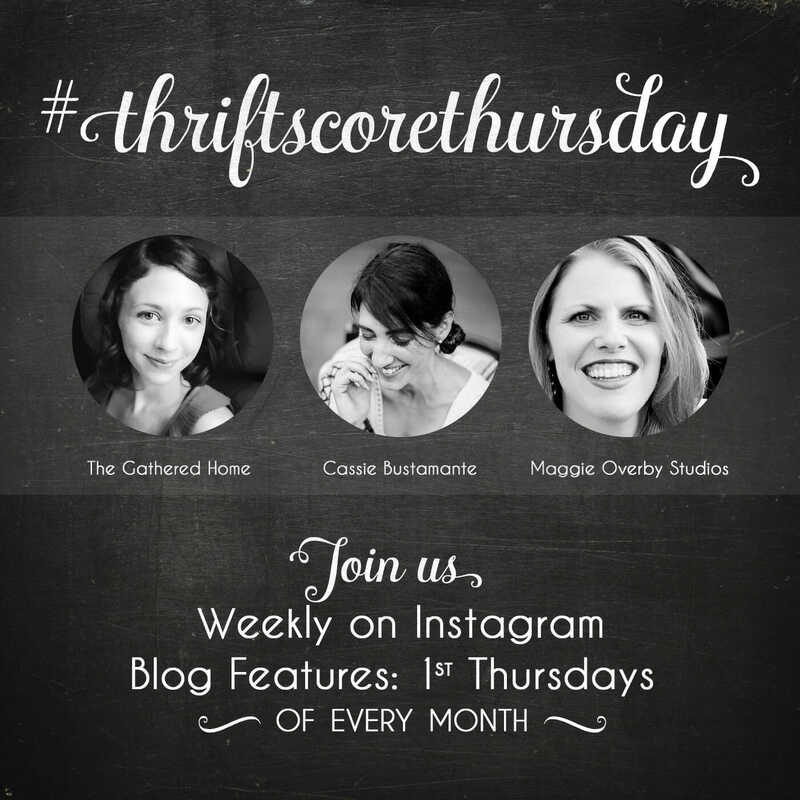 Hey guys, it’s time for our Thrift Score Thursday February features, and I’ve gathered some utterly inspiring spaces for you. The best part of about these is that they’re all thrifted finds… affordable, approachable style. You may recall that we’ve started our new monthly format. With these new monthly posts and features, we’re all being a little pickier as we have one month of thrifted finds to squeeze into a handful of features. If you are new here (first, hi! I am glad you’re here! ), let me explain just what #thriftscorethursday is. We want you to participate! Hit up your local thrift stores, craigslist, yard sales, estate sales, side of the road, anything! Thrifty doesn’t necessarily mean from a thrift store. We want to see your good deals, wacky finds and treasures and how you style them in your home. That’s right… I am looking for gorgeous photos of interiors with your finds styled to perfection. First up, I am always a sucker for beautiful thrifted vintage glassware. I actually had a nice sit I was going to share, but they never made it in front of the camera. Oops. 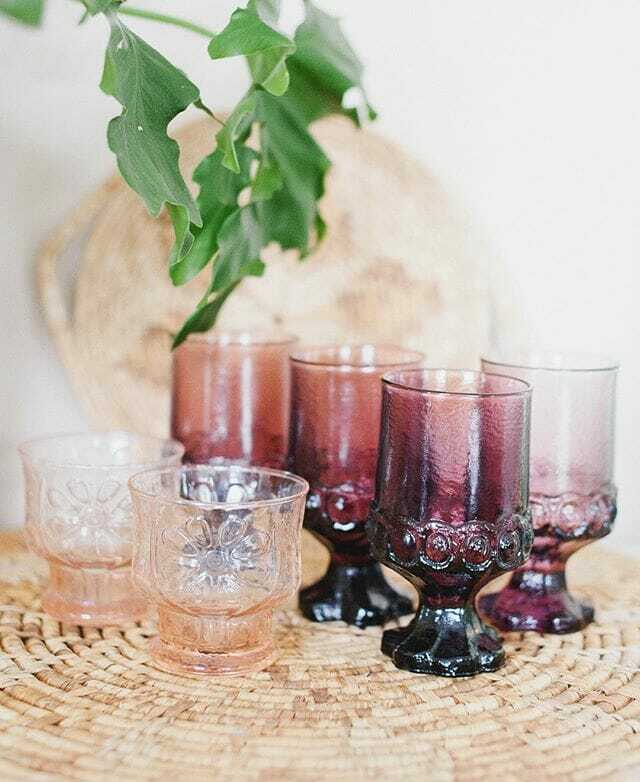 Instead I’ll show you the beautiful amethyst goblets Caitlin found… They’re the perfect February color since amethyst is the birthstone of this month. 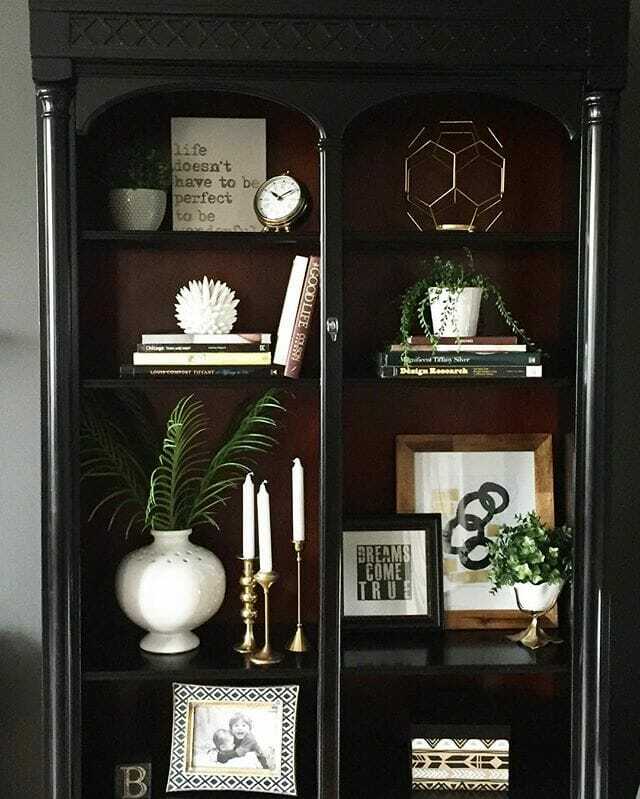 Rachael used several thrifted goods to style her fabulous black shelf, and I think she nailed it. The Charcoal and Teak home is decorated with thrifted finds that are actually available in their shop. 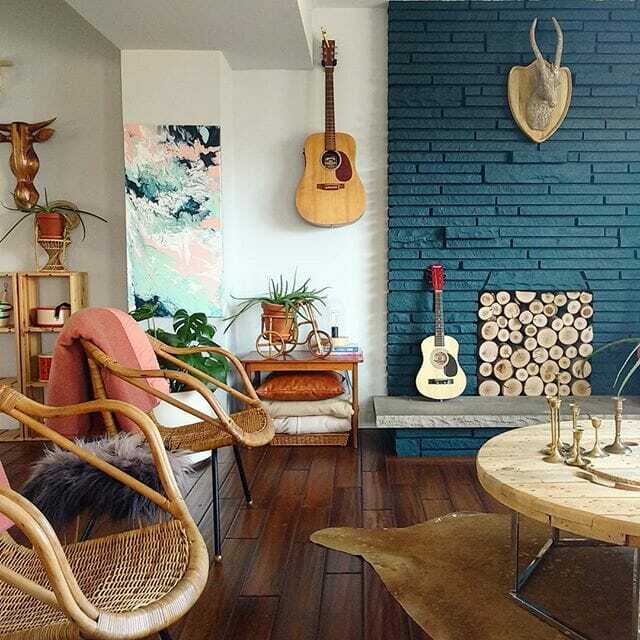 So many awesome goodies, and can we take a moment for that fabulous fireplace? If you follow me on instagram, you’ve seen these last three, over the last few weeks as my weekly features. 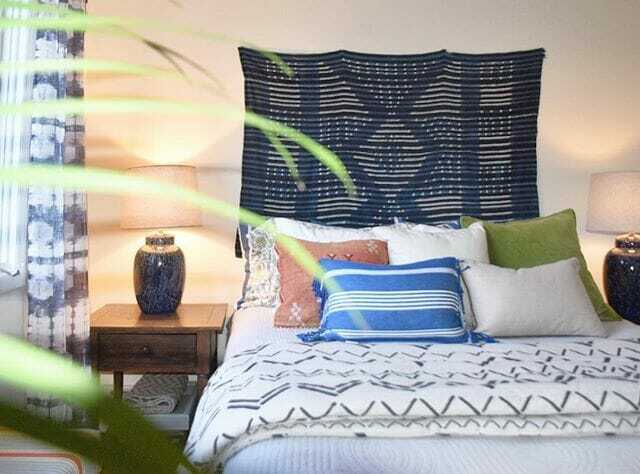 Diane of The Rath Project showed off thrifted lamps in her bedroom and all that blue got me! 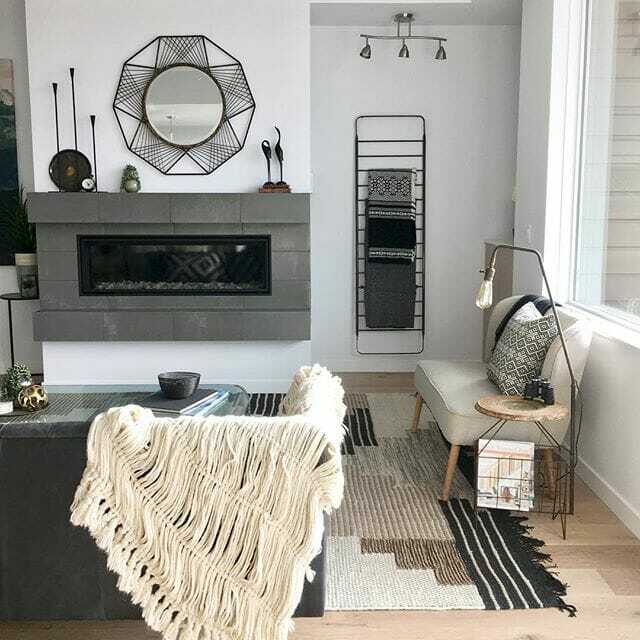 Karrie found a great little industrial lamp table and fixed it up… it’s just perfect in this beautiful neutral space that marries rustic and modern so well, as do all of her spaces. 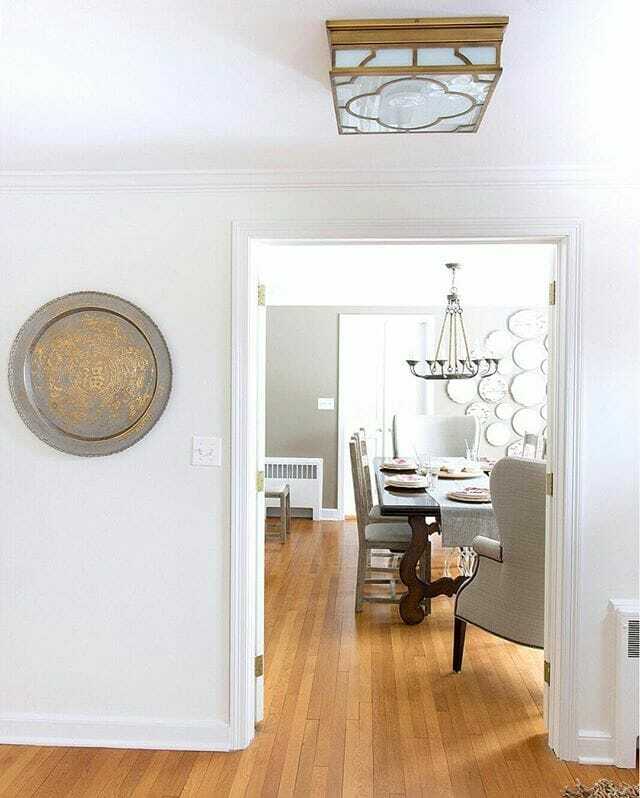 And last but not least, Kris of Driven by Decor found a great brass tray that looks perfect on the wall leading to her dining room. Aren’t these spaces and finds beautiful!?!? Yard sale season is almost here and I can’t wait. Now head on over to my cohosts to see what they’ve found and featured this month! All great finds, but I especially love that rose colored glassware, how pretty!! me, too!!! they make me want some soft pastel in my life! I love that all of these features look like they could be super expensive in a high end fru-fru store. All great finds! So many great finds! Love love those amethyst goblet and that amazing brass tray! Such great features, Cassie! The living room from Charcoal and Teak is amazing! aren’t they all just awesome!??! i love your vintage modern vibe! it’s perfect! Oh my those amethyst goblets! Love those glasses so much. Great picks! !